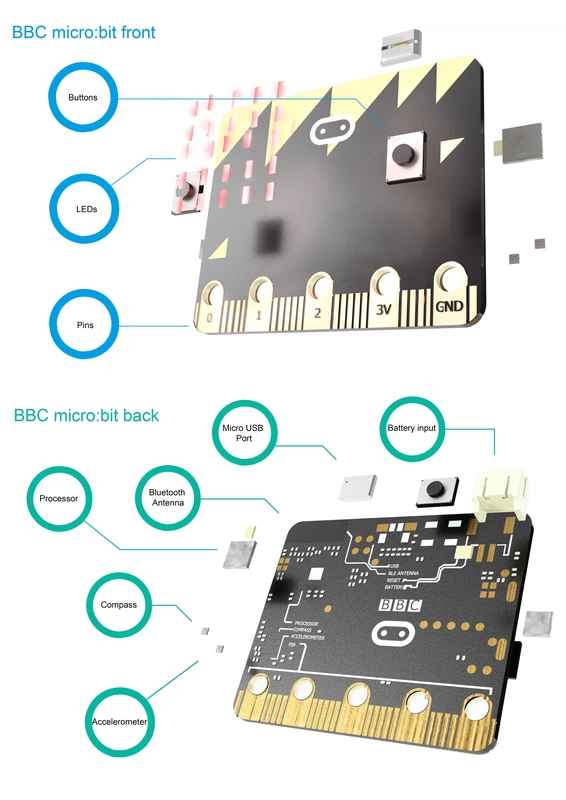 This Kitronik University resource is part of the BBC micro:bit partnership and features FREE downloadable bbc micro:bit cad resources. These downloadable files are available in three different formats and have been made using Autodesk's Inventor Professional. This render was created using Autodesk Inventor Professional and shows the kind of images the files could be used to create. To use these files you will need some CAD software. Autodesk provide their professional software free of charge to Education and Home user which makes it an ideal choice. Autodesk gave the following reason for providing such easy access to it's products: 'Closing the skills gap starts in education. Autodesk are tackling this by providing schools with common access to the same advanced technology being used by industry professionals today. Autodesk provides schools, students and teachers with free access to its professional 3D design software. This will enable educators to introduce design thinking into our classrooms allowing students to imagine, design and create a better world. Using these tools to learn how to solve real-world challenges in new creative ways will be the perfect preparation for our the next-generation workforce. Equipping them with 21st century skills to meet industry demands and advance economies worldwide.' You can get a number of Autodesk software products for free, for both educational institutions and home use, check here for more information. Having the BBC micro:bit as a CAD object is incredibly useful when creating 3D printable (or laser cut-able) case designs. It means you can create your design with the knowledge that when you come to manufacturer the final design the BBC microbit should fit perfectly! An example use of this would be when designing a case, like this one designed by Chris Elsworthy from CEL Robox to create this great 3D printed case design. Having the renders available makes this job much easier, and ensures an accurate result. We will also be using the files in our own models and case designs. .stl file (Outside shell only - For 3D Printing - Zipped). .sat file (3D ACIS Modeler - Zipped). You can see our full BBC micro:bit - Kitronik University Course here. ©Kitronik Ltd – You may print this page & link to it, but must not copy the page or part thereof without Kitronik's prior written consent. Great resources and I can't wait to get my hands on a micro.bit. I downloaded the CAD files but the inventor models won't open. I'm running the Student Edition of Inventor Professional 2015 with all updates in Autodesk Application Manager installed but when I try to open the assembly I get three errors like the one below. "Database scheme for file is (20.0 (build 200096000, 96)), which is newer than this version (19.0 SP1 (build 190203100, 2013)) of the software". Do I need to upgrade my version of Inventor? if so, do you know where I go to do so? These files were created in the 2016 version of Inventor by our in-house Graphic Designer. Therefore your 2015 version will not work with these files. You can get Inventor 2016 directly from Autodesk and it is free for students and educators with a 3-year licence here: http://www.autodesk.com/education/free-software/inventor-professional with a valid email address. We're lucky enough to be getting these micro:bits let alone have inventor 2016 on our schools computers! You should cater for all schools and get these files available on inventor 13, 14 and 15! We're not able to do that, but have just added .stp, .stl and .sat files. Would it be possible to get the assemblies in either IGES or STEP format? re they available elsewhere ? Haas Kitroniks releasable elements to allow for easy pcb creation in some popular pcb program? Currently, I am evaluating easyeda but can switch to "anything" if needed. Is there another version of the mechanical datasheet?